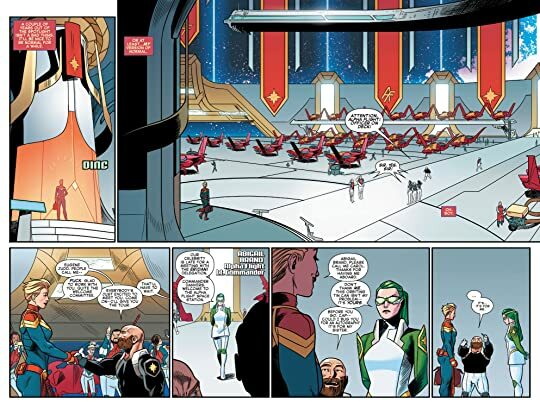 Captain Marvel has accepted the command of the Alpha Flight Space Station. The station is tasked Earth's intergalactic defenses. Rise of Alpha Flight feels like Star Trek Deep Space Nine with super heroes. Which would be fine except I grew up with my father watching every single Star Trek and I can't take the space tropes anymore. This might be good for someone else but I was burned out on space Sci-Fi by the age of 15 or so.